dPlex Pro is a significant upgrade to the original dPlex universal video demultiplexing module. Where the original dPlex video demultiplexer was designed to demultiplex a single camera view, dPlex Pro allows demultiplexing of multiple cameras views in a single pass. 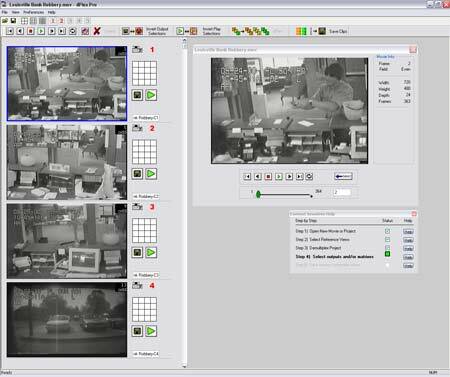 Once dPlex Pro has converted the multiplexed video into demultiplexed video, it's easy to evaluate your video evidence. dPlex Pro also allows you to easily arrange the camera views by importance, allowing you to focus your efforts and evaluate your video evidence more quickly. Camera views can then be saved as individual demultiplexed video clips or saved in a "matrix" - several demultiplexed video clips allowing a single video clip to display up to sixteen individual camera views simultaneously.